Analysis: Mostert served as both a consistent special-teams player and reliable depth running back last season for San Francisco. With both Jerick McKinnon (knee) and Matt Breida (ankle) back in the fold this upcoming season, though, Mostert will likely lose a lot of the playing time he saw on offense. Mostert (forearm) is scheduled to become a restricted free agent and likely will stay with the 49ers, Matt Maiocco of NBC Sports Bay Area reports. The 49ers officially placed Mostert (forearm) on injured reserve Friday. Coach Kyle Shanahan said Mostert underwent surgery Friday to address a fractured right forearm and will be placed on injured reserve, Cam Inman of The San Jose Mercury News reports. Mostert is out for the remainder of Thursday's game against the Raiders with a forearm injury. Analysis: Mostert was tripped up in the backfield on a third quarter run and suffered a gruesome looking injury to his forearm. The third-year back headed to the locker room in an air cast and could be looking at an extended absence going forward. Mostert was electrifying before exiting, ripping off multiple big runs including a 52-yard scamper in the third quarter. Matt Breida and Alfred Morris figure to head up the 49ers backfield if Mostert indeed misses game action. Mostert (ankle) is active for Thursday's game against the Raiders. Mostert (ankle) is expected to play Thursday against the Raiders, Adam Schefter of ESPN reports. Mostert (ankle) is listed as questionable for Thursday's contest versus the Raiders. Analysis: Mostert wrapped up Week 9 preparations with back-to-back limited walk-through participation, making him a decent candidate to work in a reserve role behind Matt Breida (ankle) on Thursday. Considering Mostert is a bit banged up at the moment, the 49ers may follow a similar breakdown of snaps for Breida (47 percent of the offensive snaps), Mostert (18.2 percent) and Alfred Morris (16.7 percent) to what they deployed in the Week 8 loss to Arizona. Mostert (ankle) was listed as a limited participant on Tuesday's estimated injury report, Nick Wagoner of ESPN.com report. Analysis: Mostert progressed from a non-participant Monday, but the 49ers have yet to go through a traditional practice session during the short week of preparation. The 26-year-old saw only 12 offensive snaps Sunday before suffering the ankle injury, and Wednesday's practice session should provide a better idea of his availability for Thursday's matchup against the Raiders. Mostert (ankle) was listed as a non-participant on the 49ers' estimated injury report Monday, Matt Maiocco of NBC Sports Bay Area reports. 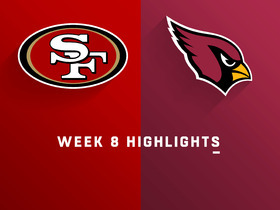 Analysis: Prior to Sunday's 12-snap showing in Arizona, Mostert racked up 29 touches for 174 yards from scrimmage in the previous three games. Perhaps the ankle injury was to blame, but he worked with Alfred Morris (11 offensive snaps) behind starter Matt Breida (31) in Week 8. With a short week to prepare for a Thursday night Bay Area battle versus the Raiders, Mostert could be relegated to a fringe role yet again if the issue is serious. Mostert ran the ball two times for 18 yards in Sunday's 18-15 loss to the Cardinals. Analysis: Matt Breida (ankle) started and received 16 carries, and Alfred Morris ranked second in running back touches with six. Mostert did have the most success on a per-carry basis, but he appears to have fallen back to third on the depth chart after getting decent run over the past two weeks. Barring a flare up to Breida's injury, Mostert appears to be non-factor heading into Thursday's matchup with the Raiders. Mostert carried seven times for 59 yards and caught four passes for an additional 19 yards during Sunday's 39-10 loss to the Rams. Analysis: Despite the presence of Matt Breida and Alfred Morris, Mostert led the team in touches and scrimmage yards out of the backfield. Neither of his aforementioned teammates averaged better than 3.0 yards per carry, making his mark of 8.4 that much more impressive. Mostert has emerged over the last two weeks and could earn even more of a role for next Sunday's game against the Cardinals. This backfield committee should remain intact, however, and could be difficult to predict on a game-by-game basis. Coach Kyle Shanahan said the decision to use Mostert rather than Alfred Morris as the top complement to starter Matt Breida in Monday's 33-30 loss to the Packers wasn't necessarily a "permanent" move, Cam Inman of The San Jose Mercury News reports. Analysis: Mostert appears to have gotten the nod over Morris based on the matchup more than anything, but the 26-year-old impressed thoroughly with his touches. Working in tandem with Breida -- who earned 14 carries on 27 offensive snaps -- Mostert used 23 snaps to churn out 87 yards on his 12 rushes. 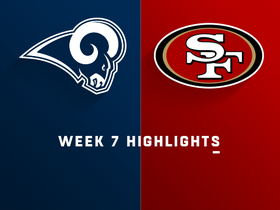 With an upcoming matchup Sunday against the Rams, it remains to be seen if the 49ers will return to their previous one-two punch of Breida and Morris or deploy the most recent version. Mostert rushed 12 times for 87 yards in Monday night's 33-30 loss to the Packers. Analysis: Mostert emerged out of nowhere to lead the Niners in rushing attempts. Of course, that came after leading tailback Matt Breida surprisingly overcame an ankle issue and bruiser Alfred Morris garnered no carries Monday. Considering those circumstances, it'll be interesting to see if Mostert's fine performance earns him further run in the week ahead. Mostert carried the ball five times for 11 yards but lost a costly fumble in Sunday's 28-18 loss to the Cardinals. Analysis: Mostert received a season-high five carries after Matt Breida (ankle) was knocked out of the contest. 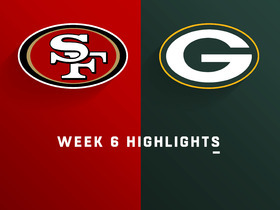 The special teams ace failed to capitalize on the opportunity, losing an untimely fumble as the 49ers attempted to make a comeback in the second half. Breida's status for next week's matchup is up in the air, but the more likely scenario is additional volume for Morris -- rather than a timeshare with Mostert -- if Breida is unable to go. Mostert picked up eight yards on his lone target and was held for no gain on one carry during Sunday's 38-27 loss to Kansas City. Analysis: Mostert had not recorded a touch during the 49ers' first two games but was involved in the action on Sunday. With C.J. Beathard now in at quarterback, it would make sense for San Francisco to lean more heavily on the run, particularly against a Seahawks defense that has been gashed. 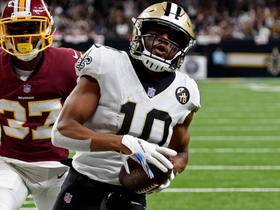 The question is how many of those hypothetical carries would go to Mostert, who sits behind established veteran Alfred Morris and early-season dynamo Matt Breida. The likely answer is not many. Mostert survived Saturday's roster cuts and will serve a special teams role with the 49ers this season. Analysis: Mostert was expected to make the cut due to his special teams prowess, but Jerick McKinnon's significant knee injury assured him a roster spot. 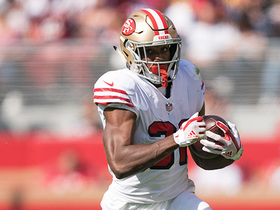 Matt Breida and Alfred Morris expect to benefit the most from McKinnon's untimely injury, keeping Mostert off the fantasy radar for the time being. Mostert wasn't in the running back rotation Saturday, but he lined up with the first-team special teams unit in a preseason loss to Houston. Head coach Kyle Shanahan said he will split carries evenly amongst his available running backs Saturday against the Texans, Matt Barrows of The Athletic reports. 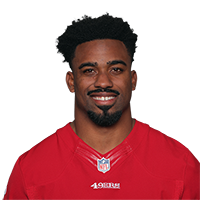 Mostert is expected to start at running back for the 49ers in the team's second preseason game Saturday in Houston, Matt Barrows of The Athletic Bay Area reports. Mostert racked up 57 yards on just eight carries in Thursday's preseason win over the Cowboys. He also lost a fumble. Mostert (knee) participated in the 49ers' June minicamp, Matt Barrows of The Sacramento Bee reports. Mostert (knee) has signed his exclusive-rights free agent tender, Daniel Brown of the Mercury News reports. Analysis: Mostert is a key special-teams player for the 49ers who's on the mend from an MCL injury that landed him on injured reserve 11 games into the 2017 season. While it isn't clear where he stands in his recovery, there doesn't seem to be any concern that he's at risk of missing mandatory minicamp in June, let alone training camp in late July or early August. The 49ers have tendered a one-year contract to Mostert (knee), an exclusive-rights free agent, Eric Branch of the San Francisco Chronicle reports. Analysis: Primarily a special teamer, Mostert had six carries for 30 yards in 11 games last season, ultimately landing on injured reserve in late November due to a knee injury. 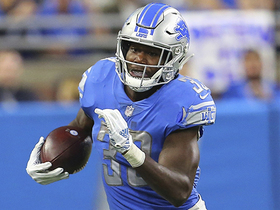 He should be back to compete for a spot at the bottom of the depth chart, but there's not much reason to think he'll be a factor in the backfield, regardless of what happens with impending free agent Carlos Hyde. Mostert (knee) was placed on injured reserve by the 49ers on Monday, Cam Inman of The San Jose Mercury News reports. Analysis: Mostert had been nursing a shoulder injury heading into Sunday's game against Seattle, but the knee injury sustained in the game is what ends his 2017 season. The 49ers are currently without a third running back, and punt returner Trent Taylor will likely step in on kick returns. Mostert is out for the remainder of Sunday's game against Seattle with a knee injury,Matt Maiocco of NBC Sports Bay Areareports. Analysis: The injury leaves San Francisco without its third-string running back or kick returner. Trent Taylor, who normally returns punts, will probably fill in for Mostert on kickoffs. Mostert (shoulder) is active for Sunday's game against the Seahawks. Analysis: Mostert has just six carries for 30 yards this season, and his last carry was in Week 6. His return will be felt mostly on special teams, and he occasionally returns kicks for the 49ers. The 49ers have listed Mostert (shoulder) as questionable for their game against the Seahawks on Sunday, Curtis Crabtree of Sports Radio 950 KJR Seattle reports. Analysis: Mostert primarily plays a special teams role for the team, as he has not logged a carry since Week 6. Thus, the offense does not figure to be affected should he be unable to suit up for the contest. Mostert left Sunday's game against the Giants with a shoulder injury and is questionable to return, Matt Maiocco of NBC Sports Bay Area reports. Analysis: The severity is still somewhat unknown. Mostert makes most of his worth via special teams, so this should not have a tremendous impact on fantasy owners. 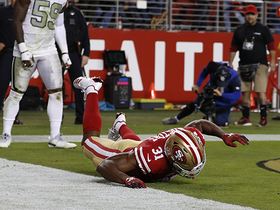 San Francisco 49ers running back Raheem Mostert rumbles down sideline for 52-yard touchdown. The "NFL Fantasy Live" crew offers up four players that you could grab off the waiver wire to help your fantasy team. 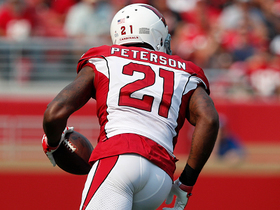 Arizona Cardinals cornerback Patrick Peterson snags the fumble and takes it up the field.